If you're a sucker for those articles that pop up on your feed like "most luxurious resorts in the world" or "10 best eco resorts" or anything along the lines of "look at all these places that you can't afford that are on the other side of the world, in paradise and no where near your boring office" - then you're probably familiar with Mukul. 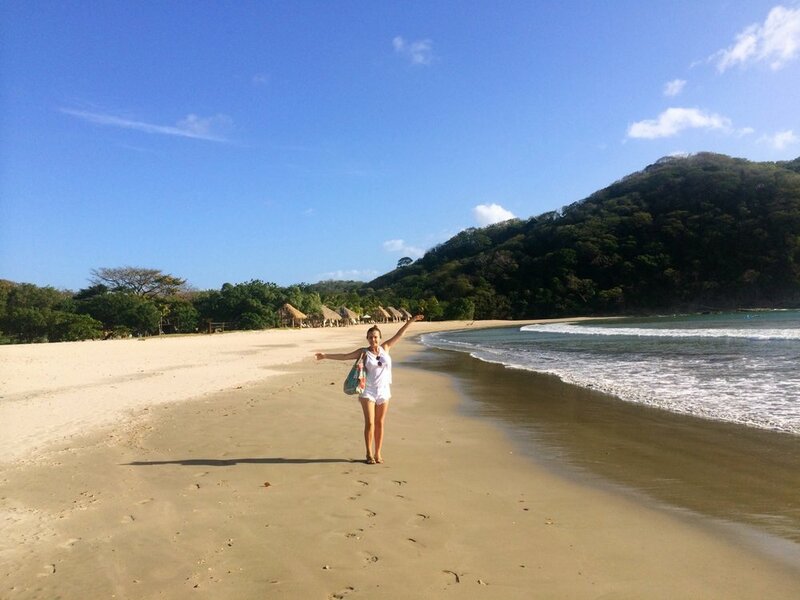 As I mentioned in my post 10 Reasons Why You Should Visit Nicaragua, Nicaragua's tourism industry is its infancy and Mukul marks their first 5 star resort. This is an exciting milestone, well done Nicaragua! But that also comes with a few ups and downs. The ups - it is bloody beautiful! There is a pristine beach between two jungle covered headlands there Mukul calls home. At one end of the beach there is a beach club and cabanas where you can find post card worthy straw huts strewn with The ups - it is bloody beautiful! There is a pristine beach between two jungle covered headlands there Mukul calls home. 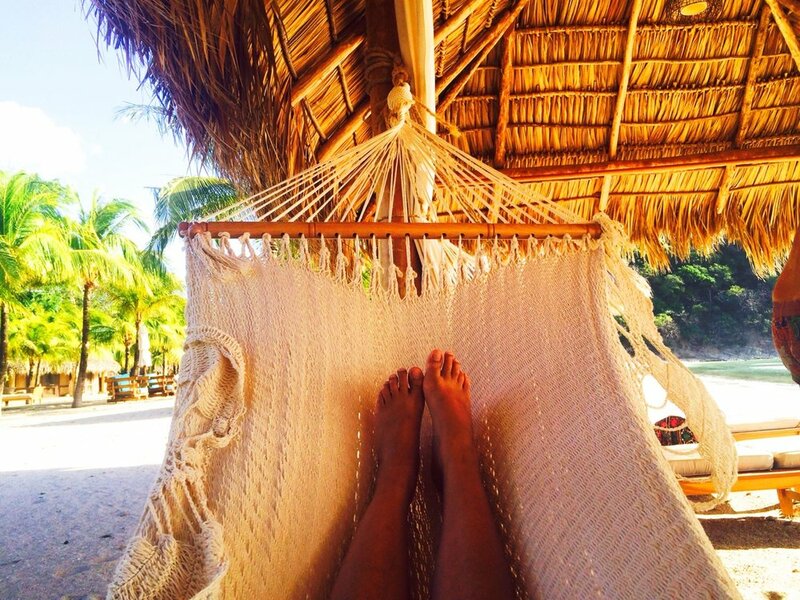 The left hand hammocks, day beds and the waves providing the playlist. Behind the beach club is a lush green golf course. I don't have a lot to compare it to but my boyfriend assures me it is a goodie. On the right hand side is the stunning lobby which i wish I could copy and paste to create my dream home. The wicker flight features, couch that does for days, high ceilings and stunning views are incredible. As for the rooms - they don't disappoint either. Set up in the jungle looking down at the ocean while eating room service is hard to beat. But what was even better was enjoying a drink while reading my book latching onto the side of our very own plunge pool. The room itself isn't oversized but feels huge thanks to the soaring ceilings. The bed would have to be up there with one of the most comfortable things I have ever laid my tired body on. It was like half cloud half brownie and 100% heaven. Now for the downs - Mukul is undeniably incredibly expensive. When you pay those prices you expect good amenity (tick), beautiful accommodation (tick) and good service.... (big red cross). They were infectiously friendly but I got the feeling they had no idea what they were doing. They would drop us to the beach club and when we entered we found it closed, they would forget food orders, the morning yoga never happened even though we would show up each morning and call ahead to confirm and my massage which I almost needed a mortgage to pay for felt like a a toddler was pawing at my back. I do believe that they are keen to learn, friendly and have a tonne of potential but I would wait a few years until you pay that sort of money. But I highly recommend a visit to the country! Service: friendly but clueless, and a frustrating given the cost. Location: The surroundings are beautiful, but you are locked into the resort as nothing else is in walking distance. To find out more, you can visit the Mukul website.